Welcome to the PlasticTom.com web site. Home of the PlasticTom Lip Balm Filling Tray. 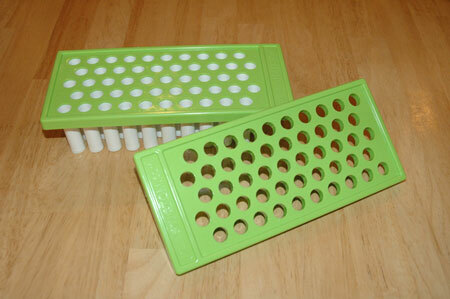 The Lip Balm Filling Tray is a tool used to speed and simplify the filling of lip balm tubes. The trays are perfect for the makers of premium lip balms. You can get many of the benefits of automated filling without the large capital investment. Be sure to visit our tutorial on how to use the PlasticTom Lip Balm Filling Trays. Check with our distributors for details! !